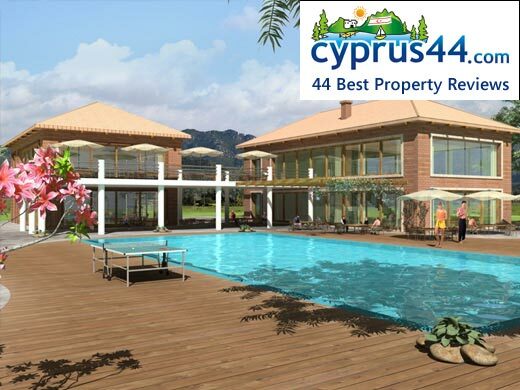 Crystal Bay Villas is one of the best properties listed in Cyprus44 property reviews. The Evergreen Developments group built quality apartments and villas in prime locations in North Cyprus. Their international team have wide-ranging experience in the property business, and the group boast a high level of technical expertise in construction. The group are currently developing no less than thirteen different sites in North Cyprus. The range of properties is a little confusing at first, since nearly all carry the Crystal Bay branding. The majority are centred around Crystal Bay which has a swimming beach and is very close to the site of the forthcoming Port Cyprium Marina. 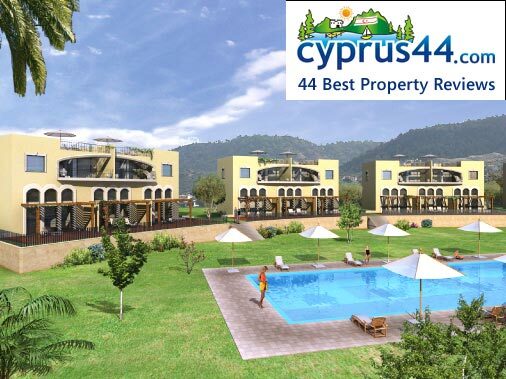 Crystal Bay Village phase 1 and 2 and Pearl Bay is a development of 70 beach-front villas just metres away from their own stretch of North Cyprus beach. Each villa has a terrace and private balcony overlooking the sea, and the option of a private swimming pool if you don't want to share. The shared facilities include three pools including a semi-Olympic swimming pool (25m in length). There is also a café/bar, indoor gym, management and letting office and a tennis court. All villas at Crystal Bay Village are currently sold out, but selected resales may become available. The Crystal Bay View two-bedroom apartments have also proved popular with buyers and sold out very quickly. The 45 apartments at Crystal Bay View sit amongst acres of carob trees, have their own communal swimming pool and Indoor Gym and are just five minutes away from the new Korineum Golf Course at Esentepe. The Crystal Bay Marina 145 two-bedroom garden and penthouse apartments are all sold out, although resale opportunities may arise over the coming months. Located at Kucuk Erenkoy, the Crystal Bay Marina offers residents the use of several boats to be moored at the new Port Cyprium marina (once it opens) as well as a host of on site communal facilities including two adult pools, 1 kids pool, indoor gym, restaurant bar, children's playground and indoor games room. The marina and the beach are both just two minutes away, ideal for those who love watersports and sailing. The Crystal Bay Park is the most exclusive of the Crystal Bay developments, with only 25 two bed apartments, which have already all sold out. 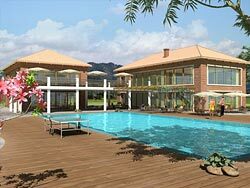 The development boast a a communal swimming pool, water sports club, restaurant, tennis court and mini market, so you don't need to drive to Kyrenia to eat in style. The two bedroom bungalows at the Crystal Bay Beach Resort have sold out at present, and no wonder when they are just 100 metres from the lapping waters of the Mediterranean Sea. The strict planning laws concerning coastal properties also ensure that this view will be preserved. The bungalows have their own communal swimming pool as well as access to the Crystal bay communal facilities such as the swimming pool, restaurant, mini market and water sports club. Crystal Bay Breeze is a group of eight sea-front villas that have an elegant outdoor terrace with pergola, and garden space. You can opt for your own swimming pool too for an extra £15,000. All Crystal Bay Breeze are sold, but resale opportunities may arise in the next year or so. 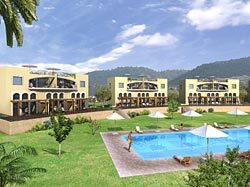 Crystal Bay Beach Resort 2 is a development of 14 small villas with a communal pool situated front line to the sea in Bahceli. This site sold out within 1 month without even hitting Evergreen's website and was only marketed by a select number of agents. Crystal Bay Marina 2 is the latest offering by Evergreen Developments. This site is located in Kucuk Erenkoy and consists of 65 two bedroom units, close to the sea and with views to the area earmarked for the Port Cyprium Marina. The site has its own swimming pool, kids pool, indoor gym and restaurant/bar. In the first ten days of 'Pre Launch" marketing, 35 units have been sold and this site may well sell out before it reaches the Evergreen website as happened with Beach Resort 2! The Crystal Bay developments have proven very popular and often sell out without any fanfare. For those who love to sail and enjoy water sports as well as those looking for a great investment and well finished property, the Crystal Bay properties could be well worth investing in. When the new marina is built, these properties are bound to rise in value, for those wanting easy access to the sea and sailing as well as nearby golfing. Can i watch sky player on pc??? do your self a favour! This web page is served on 20 April 2019 at 00:11:57.